This blog has been updated ridiculously infrequently recently- blame the laziness of your blogger and the demands of managers for that but you can blame something else too- that I was educated as a historian. One of the books I got for Christmas was Christopher Hitchens's essays- they are collected in a volume called 'Arguably' and as ever with Hitchens they are well written and fun to read. What strikes me though reading them and reading the rest of Hitchens's work is his strengths and weaknesses. Hitchens was an amazing writer and obviously thought about writing a lot: his essays on writers show sparkle and panache. So when he writes about Anthony Powell, he provides wonderful snippets of why he thought Powell was an amazing novelist: a word here, a phrase there are shown to the reader as proofs of Powell's inventiveness with language and his mood. Hitchens illuminates through literature as well- in an essay on Newton he sums up the Cavendish laboratory in Cambridge through a reference to Penelope Fitzgerald. He was also obviously a great journalist- I haven't yet got to those pieces but it strikes me even with them that it is mastery of the literary detail- the ability to sum up a subject in a phrase which marks him out. The essay on Newton reveals his weaknesses though as well. Hitchens was confessedly not a scientist and when writing about the greatest scientist of them all, he turns to the alchemy and the mysticism. Neither was he much of a historian. He does not in the same essay probe why Newton- a greater figure than any reader of this blog or than Hitchens himself- believed in alchemy. Its a fundamental problem in his biographies of Orwell and Paine: they are gripping reads if only because you suddenly find yourself being an American revolutionary or a British socialist in 1940. But neither Hitchens nor we share the attitudes of those time: when we do our thoughts are repetitions whereas the originals were 'original'. Hitchens makes Paine and Orwell into our contemporaries- something no historian would ever do. 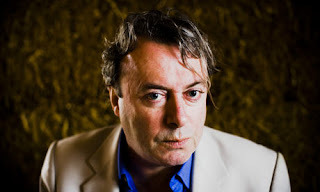 Hitchens therefore wrote quickly and wrote well- what he had to say was worth reading. I struggle with that demand- I don't write well and don't write quickly. I suspect something of that has with our different skills: I am not a journalist nor have the kind of close reading that Hitchens had or power to quickly summarise. As a historian- and a poor one- I live in constant fear of correction, of the fact that slips through my fingers and leaves me looking silly. I doubt Hitchens's books on Orwell or Paine would really be undermined by the revelation that Paine never wrote the Rights of Man and Orwell never imagined up Winston Smith: his Orwell and his Paine exist independently of the actual historical reality. What he did was amazing and was hard: harder in some ways than being fixated on the facts but it was different. Blogging would have suited Christopher Hitchens- sometimes it feels like it doesn't suit your present author! Welcome back. I left one or two comments on earlier posts during your hiatus. These don't seem to have been published. Is this because they weren't to an appropriate standard? Or did they get lost in the ether? Or is there some other reason? Not at all they were because I was so busy I didn't look! I'll find them and publish them now and answer them.